In Television as Digital Media, scholars from Australia, the United Kingdom, and the United States combine television studies with new media studies to analyze digital TV as part of digital culture. Taking into account technologies, industries, economies, aesthetics, and various production, user, and audience practices, the contributors develop a new critical paradigm for thinking about television, and the future of television studies, in the digital era. The collection brings together established and emerging scholars, producing an intergenerational dialogue that will be useful for anyone seeking to understand the relationship between television and digital media. Introducing the collection, James Bennett explains how television as digital media is a non-site-specific, hybrid cultural and technological form that spreads across platforms such as mobile phones, games consoles, iPods, and online video services, including YouTube, Hulu and the BBC’s iPlayer. Television as digital media threatens to upset assumptions about television as a mass medium that has helped define the social collective experience, the organization of everyday life, and forms of sociality. As often as we are promised the convenience of the television experience “anytime, anywhere,” we are invited to participate in communities, share television moments, and watch events live. 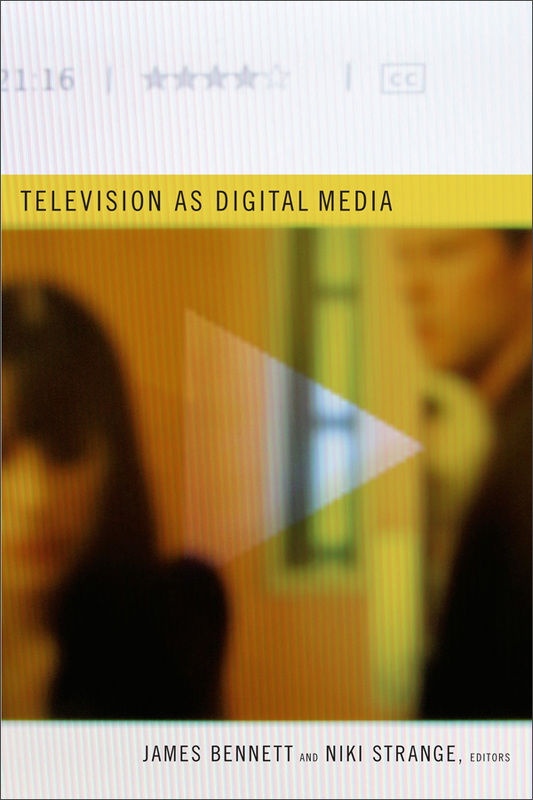 The essays in this collection demonstrate the historical, production, aesthetic, and audience changes and continuities that underpin the emerging meaning of television as digital media. James Bennett is head of area for Media, Information, and Communications at London Metropolitan University. Beginning in April 2011, he will be Senior Lecturer in Television Studies at Royal Holloway, University of London. He is the author of Television Personalities: Stardom and the Small Screen and a co-editor of Film and Television After DVD. Niki Strange is the founder of Strange Digital, a company providing research and strategy consulting for digital businesses and the culture, education, and public sectors. She is also a research fellow at the University of Sussex.